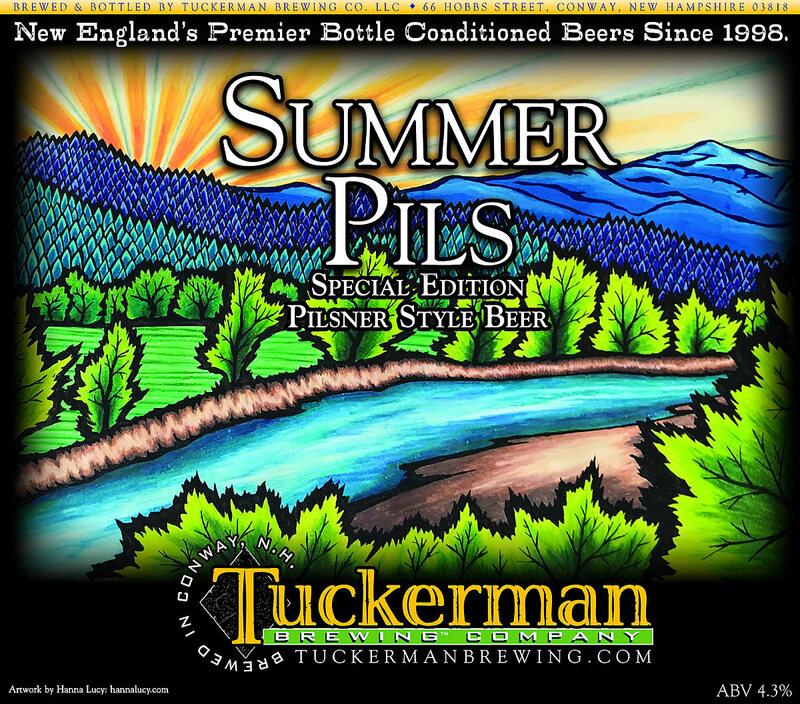 ABV 4.3% ... Tuckerman Brewing Company's Summer Pils is a single hopped Pilsner style beer brewed with Citra hops and orange peel. The low ABV makes this beer your Summer go to! The can art work is by the very talented Hanna Lucy - check out her work at www.hannalucy.com and as always we invite you check out all the cool stuff going on here at the brewery!